Talking to the MMA7660 Accelerometer with ATtiny85 and I2C « Adafruit Industries – Makers, hackers, artists, designers and engineers! 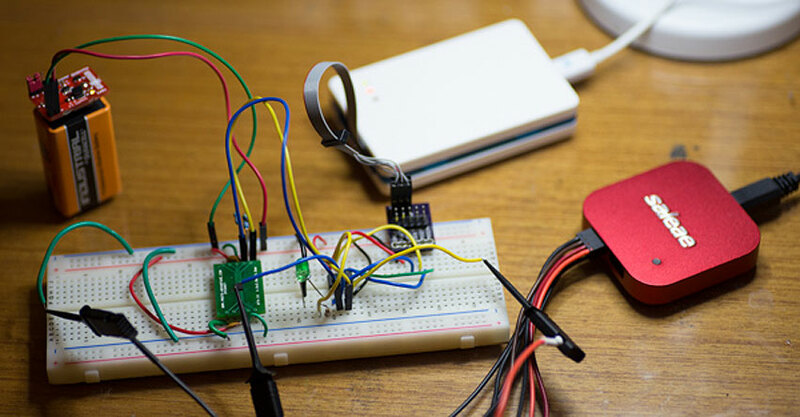 electronut Labs have a great tutorial for talking to the MMA7660 3-axis accelerometer with an ATtiny85 using the I2C protocol. They throw in some helpful Atmel-ICE and Atmel Studio software pointers along the way. I was introduced to Atmel tinyAVRs a few years ago, soon after I started playing around with the Arduino platform. Now, here was a computer I could wrap my head around. Although it lacked the bells and whistles (voltage regulator, USB support, modest number of I/O lines, etc.) of an Arduino, it was simple enough to comprehend, and in fact more than sufficient for many projects where using an Ardunio would be overkill. If you wanted to reduce the cost of your project, tinyAVR is a good candidate to look at. Since I continue to find tinyAVRs to be extermely handy for small projects, and in addition plan to explore Atmel ARM chips for my new projects, I decided to buy an Atmel ICE debugger. To make use of the ICE, you need software that supports it, and Atmel Studio seemed like the apt choice.